1. Idgie and Ruth, FRIED GREEN TOMATOES, by Fanny Flagg. What a gorgeous friendship! They bonded over the tragic loss of Idgie’s brother/Ruth’s boyfriend, came to each other’s rescue during times of domestic violence and threatened arrests. Idgie helped Ruth learn to assert herself and Ruth helped tame some of Idgie’s rougher edges. Still, they both accepted and loved each other, just as they were… making a profound difference in each other’s lives. · Favorite Friendship Moment: When Idgie and Ruth get into a food fight in their diner’s kitchen and Ruth smears chocolate frosting on their friend, the sheriff, when he tries to calm things down. Also, I sobbed when Idgie tells Ruth a final, tall tale. 2. Anne and Dianna, ANNE OF GREEN GABLES, by Lucy Maud Montgomery. Such a sweet and loving friendship that had its share of ups a downs. Best of all, the readers got to see this friendship mature and grow along with the characters. · Favorite Friendship Moment: So many!! I love when Anne asks Dianne over for tea and Dianne is served current wine instead of raspberry cordial and gets drunk, or the time when Anne saves Dianne’s sister’s life from the croup or… ah! So many! 3. 3. Abileen and Minny, THE HELP, by Kathryn Stockett. 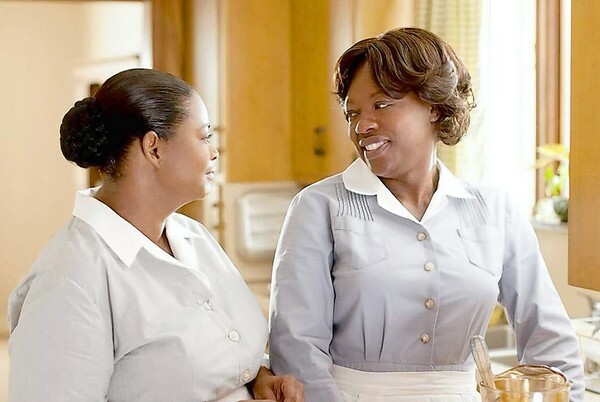 I adore the friendship between these two maids from Jackson, Mississippi who faced the most difficult times together in the pre-civil rights era. Despite all of their hardships, they always had at least one person they could depend on: each other. Things got incredibly ugly for them, but their friendship always remained a constant. · Favorite Friendship Moment: When Abileen recruits Minny to join her in the book project as well as Abileen’s support of Minny and encouragement to break free of her abusive husband. 4. CC and Hillary, BEACHES, by Iris Rainer Dart. What can I say without ugly crying?! This friendship was so profound, complex and moving it’s my all-time favorite. Both have something they envy in the other. Hillary is reserved, privileged and classy whereas CC is outgoing, bursting with personality, but rough around the edges. They bring out the worst and best in each other and love each other like sisters. · Favorite Friendship Moment: When Hillary asks CC to be her daughter’s guardian and also when CC gives Hillary heck for giving up as her illness worsens. Tenderness and tough love- what we all need in a true friend. 5. 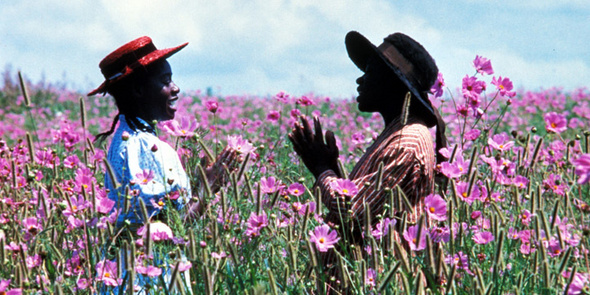 Celie and Nettie, THE COLOR PURPLE, by Alice Walker. No one can be a better, more loving, loyal and lifelong friend than a sister. Celie and Nettie, born into a horrible childhood, had only each other to turn to. When Celie was forced to marry an abusive man, Nettie came along and did her best to protect her sister, even teaching her how to read and write. When Nettie was made to leave, she never gave up writing to her sister whose husband hid all of the letters. Consequently, Celie didn’t know that fate intervened and allowed Nettie to raise the children a young Celie thought she'd lost when she gave them up for adoption. · Favorite Friendship Moment: What can compare to the emotion of their sister reunion in the wildflower field?! When Nettie returns from her missionary work in Africa to reunite Celie with her children, the moment is one of the most beautiful, iconic moments of sisterhood in fiction’s history. “Nothing but death can keep me from her!” Nettie shouted as Celie’s husband forced her off their property. I could have yelled along with her as I imagined my own protectiveness, loyalty and love for my friends. 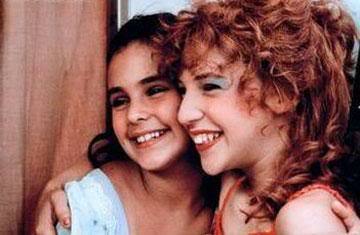 Watching FRIED GREEN TOMATOES recently was a great reminder for me to include incredible friendships in my stories. What are your favorite fictional female friendships in books, movies or television shows? Or, how has a close friend made a difference in your life? What a great post, Karen! I'm blessed to have wonderful friendships, some of them for decades. Having that closeness with people who care deeply makes the world outside a bit less scary. Thanks, Magdalena :) Decades long friendships like yours are truly a blessing. As you said, knowing you have such strong support makes the surprises and challenges life gives us easier to bear because we know we have our friends by our side. Wonderful post. Now I want to watch all of these movies again, to savor the bonds of friendship you related in your post. Thank you so much for this post! Thank you, Roxanne- and you're welcome as well :-) It was a joy to write this post because I got to recall many of those friendships I either read or watched that influenced and inspired me! Have a happy movie marathon, my friend! Good friends are a blessing. My favorite ficional friendship is Catherine and Heathcliff from Wuthering Heights. I know...a bit of an odd choice. When they were young, those two had an extaordinary friendship. Unfortunetly, adulthood and love got in the way. Luckily, the younger generation, Cathy and Hareton, succeed where the adults failed. The Friendships I have had in my life have sustained me a lot in my life. One of my fav movies about friendship is Steel Magnolias... those woman remind me of my group of friends.. I would be lost without them. Such a lovely post, Karen, and a great reminder how important those bonds of friendship are to us. I love all these movie friendships. I really enjoyed the friendships in the Best Exotic Marigold Hotel. Friends have kept me sane some days. They are invaluable! Thanks for the post. A great post and I agree with every one of those combinations. I've written a few of my favorites (naturally ) and recently I saw a play called The Dixie Swim Club that had another great set of girlfriends. The Dixie Swim Club? I already love those gals based on the name, Liz :-) Thanks for sharing it! I would add Waiting to Exhale. Girlfriends sticking together through everything. I am blessed to have 3 of the best friends who have been there for me. They know I will be there for them also. Awesome pick, Pamela! I love WAITING TO EXHALE :-) All four of you are blessed to have each other as lioving friends are the greatest gift! Great Blog today! My fave is Thelma and Louise! What a duo!! That's a great pair, Delene! I love when they go over the cliff together- so empowering!